You may not realize this, but the inconspicuous Vera Pizza sign hanging just below our Neapolitan Pizza menu is a sign of something really unique for Evansville. That sign says that Pangea’s pizza is certified Neapolitan. Our Neapolitan pizza has been certified by the Associazione Verace Pizza Napoletana (that’s Italian for Association of True Neapolitan Pizza). Every ingredient in our pies is made to strict Neapolitan standards. The flour is milled in Naples, Italy. Our traditional toppings come from the Campania region of Italy. The pizza is cooked in a traditional, woodfired oven that we got hand built by the third generation of the Acunto family in (you guessed it) Naples, Italy. And the entire the process by which we make our pizza is the same one used by centuries of Neapolitan pizza makers before us. We were first certified by the Associazione two years ago. It’s not handed out easily. In fact, we are one of only two restaurants in the state to sport that Vera Pizza sign. The other is Venturi, a pizzeria in Goshen. 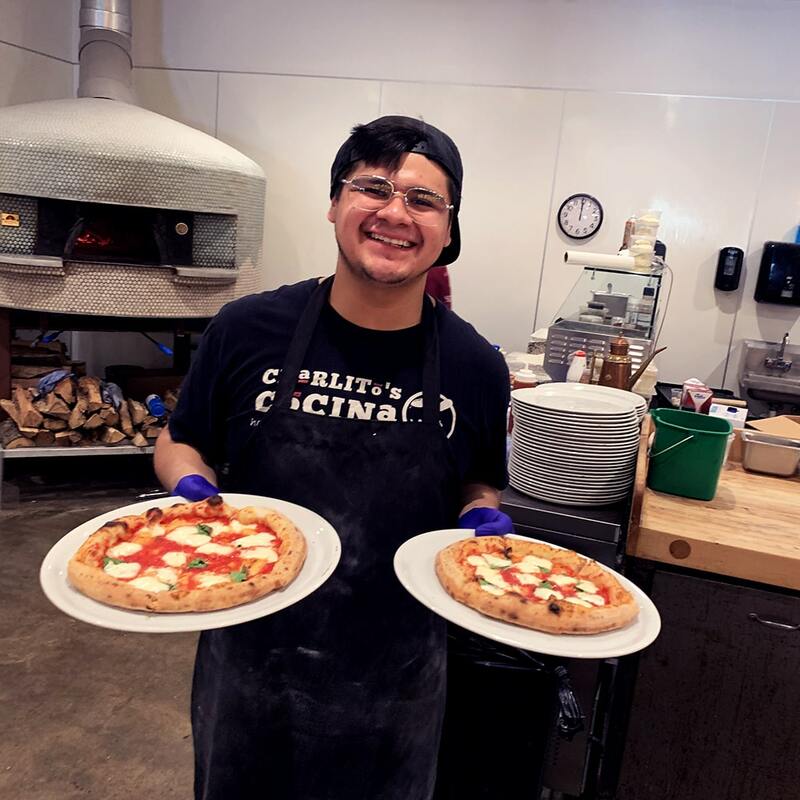 We gained certification with the help of the wonderful certified pizzaiolo Alessio Lacco, and I trained studiously under him for almost a year. I have to admit, I was a little hesitant to take this on when I first came on board Pangea three years ago. I had no prior knowledge. I didn’t even know what Neapolitan pizza was. But the idea of bringing something like this to Evansville grew on me — fast. I was intrigued that an absolutely delicious pizza could be made from a short list of simple ingredients. And with a lot of hard work and great help, I was a certified pizzaiolo (that’s Italian for pizza maker).